Pacific Medical Waste wants to keep you up-to-date with today’s medical waste trending topics. That’s why we’ve created this blog post. Using a professional and client-focused company for your Medical Waste Disposal in California is just the smarter choice. Pacific Medical Waste is a locally owned and operated company serving all of California. When you choose Pacific Medical Waste for your Medical Waste Disposal in California, you are protecting your employees, your community, and the environment. It’s everything you NEED to know about Ebola and serves as an Ebola Compliance Information Center (with free downloads). Here you will find downloadable: posters, guidance documents and other information to help your facility safely handle patients suspected of being infected with Ebola or other highly infectious diseases and the safety precautions that should be practiced. Healthcare Workers, Could it be Ebola? Avoid Heavy Fines and Stay in Compliance! 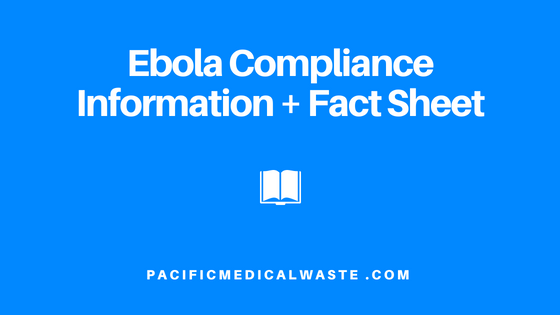 Pacific Medical Waste offers Online Compliance Training!